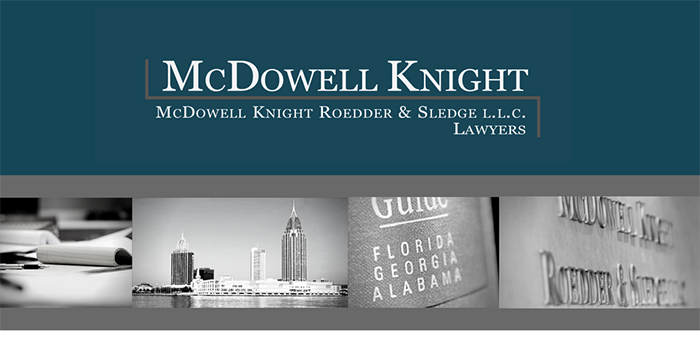 (Mobile, AL)– McDowell Knight Roedder & Sledge, LLC is pleased to announce that the firm and attorneys Michael Knight and Brian McCarthy are highly ranked in the 2017 edition of Chambers USA, a renowned independently researched legal referral directory. The London-based Chambers & Partners ranks the preeminent U.S. firms and attorneys based on comprehensive research and interviews with clients and other attorneys. Chambers USA guides are trusted by legal professionals throughout the world when they need to find reliable, capable and appropriate business lawyers and firms.